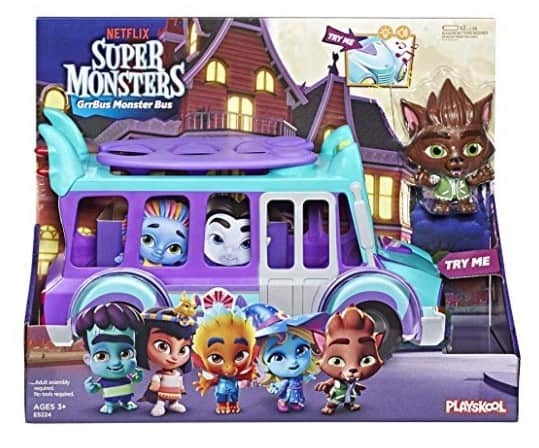 Amazon has Netflix Super Monsters GrrBus for $14.34 (Reg $30) with FREE Shipping on orders over $25.00 or with Amazon Prime Orders. In the Netflix pre-school series Super Monsters, GrrBus transforms from a yellow school bus to his monster self — a bus that not only drives, but also flies! In the Super Monsters series, kids explore a world with friendly and unique characters learning to become the best monsters – and people — they can be.